Libraries are not the usual place that you would expect to go for a fun sing-along, but that is now definitely not the case after a new lunchtime sing-along session was launched yesterday Tuesday November 3 at the Cardiff Central Library Hub. 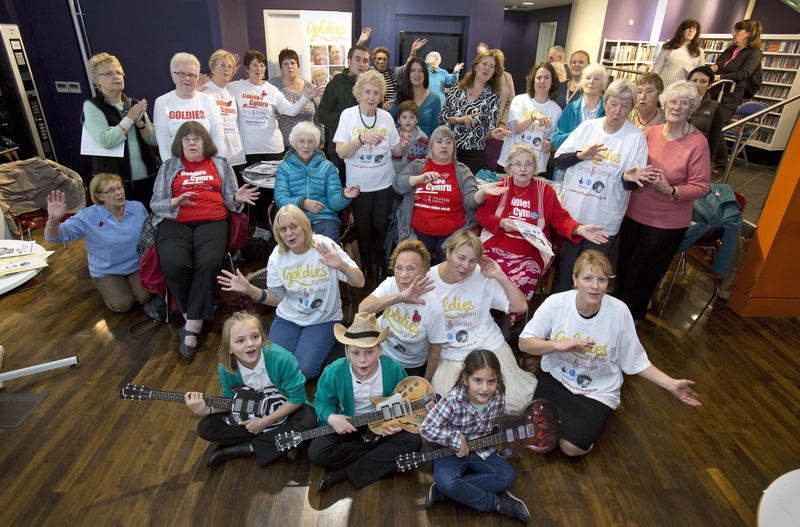 The Goldies CYMRU Charity is spreading across Wales with its daytime singing and activity sessions for older vulnerable people. The partnership with Cardiff Libraries is a new development for Goldies CYMRU. Cllr Judith Woodman is a member of the Goldies CYMRU Management Board. She attended yesterdays launch. Goldies CYMRU also launched its new book of Welsh folk songs and local folk singer Nia Ann performed some of the songs.